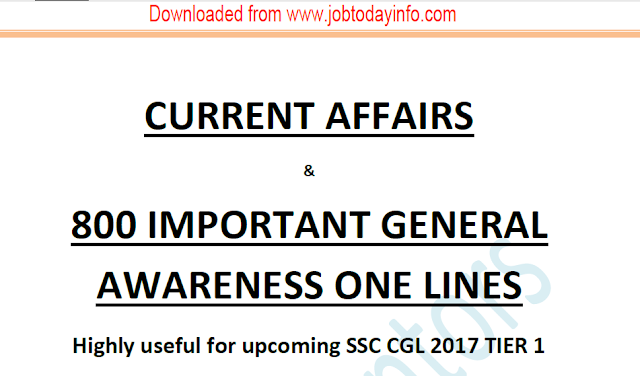 Dear Aspirants, Today We are sharing e-pdf document of Top 800 Important One Line General Awareness - Current Affairs”. This document Highly useful for Upcoming CGL Tier 1 & Tier 2, CPO Prelims and Mains, CHSL and competitive Exams. Credit goes to online Mentors who prepared by this PDF document. All the candidates who are preparing for competitive exams are advised to download PDF document from the link provided given below.